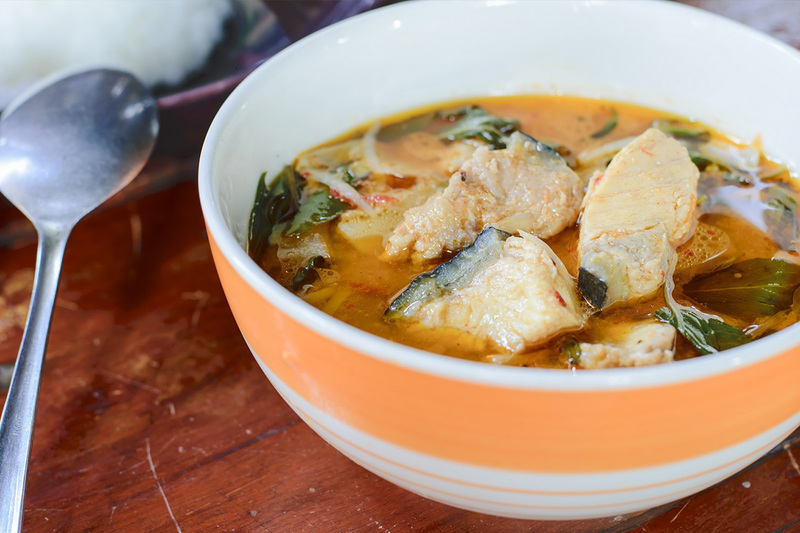 This healthy fish curry is so flavoursome and is packed with spices and healthy ingredients. It’s a really great friday night recipe as it is easy to make and it’ll beat anything your local takeaway has to offer! Peel and finely slice the shallots, garlic and ginger. Trim and finely slice the chilli and pepper. Cut the fish into chunks. Heat a tbsp of coconut oil in a large pan until it melts to a liquid, add the mustard seeds and curry leaves and cook until the seeds start to pop. Add the shallots, garlic, ginger, peper and chilli, and cook on a medium heat for 5 minutes, or until softened. Mix the chilli powder and turmeric together with a splash of water, and stir into the pan. Fry for 1 minute to release the flavours, then add the fish, coconut milk and tomatoes. Bring to the boil, then simmer for 20 minutes, or until the fish is cooked and the sauce has reduced. Pick, chop and scatter over the coriander leaves. Delicious served with brown basmati rice or a chapati.